When working with children in the age 2-5 category, you always have to bear in mind the different abilities of the ages and aim for something that will be fun for both the very young and the nearly school-age which is always the first challenge! The session I did with Noah's ark was a big hit with the kids. Let's face it, it was always going to be when kids are fascinated with animals - so a whole theme devoted to animals is always going to be a winner. We started by reading this fun rendition of the story 'All Afloat on Noah's Boat'. Look for a copy at your local library or you can buy from Book Depository here. This book has been in our family for years and it's got great rhyme and rhythm throughout. 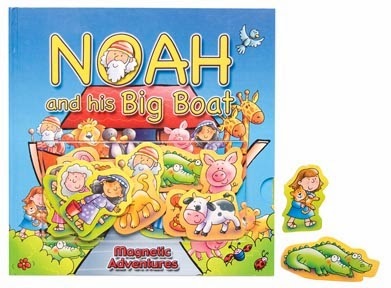 I also let the kids tell the story themselves using this great magnetic storybook version of Noah's Ark and they all took turns putting the different people and animals on the pages as we went along. We were given this book as a 1st birthday gift many years ago and it has been a firm favourite since. You can find a copy here. Fold the card in half and make the shape of an ark with the top of the ark on the fold so that you can put animals on both sides as it will hang in the air. You ideally want the shape of the hull of the boat look symmetrically opposite to the rainbow. Print pictures of Noah (I used an image I found on the Internet and copied it multiple times onto a sheet that I then cut out for the kids to stick on). You can download my template here. Use the template below or download from here to print off and cut out enough copies of the dove so there is one for each child. Use this template to print a picture of the rainbow or download from here. 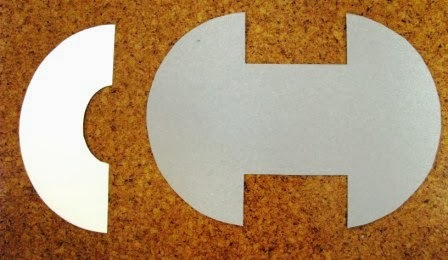 You'll need two rainbows per child so you can cut out and double side them onto a piece of card. 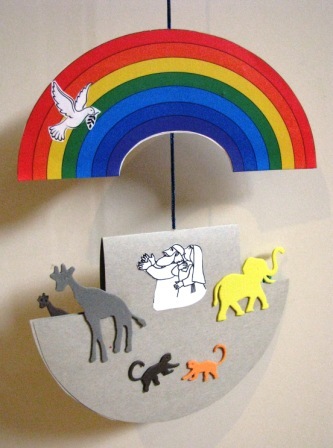 Let the kids stick Noah and the foam animals to the ark and the dove onto the rainbow. Put a string through the top of the ark so it hangs and also tape it to one side of the rainbow. Then hang somewhere where you can admire and remember the amazing promises of God! There will be 4 more great themes and ideas in the weeks to come!